Deeply hydrates overnight. Skin looks and feels younger in just 5 days. A multi-tasking night moisturizer that effectively reduces signs of aging while you get your beauty sleep. This non-greasy, intensely hydrating formula with Pro-Retinol (a form of Vitamin A), Soybean and Rice Peptides smoothes skin while fighting wrinkles and improving elasticity. Apply before bed to a clean face and neck. This rich, yet lightweight moisturizer is immediately absorbed without leaving a greasy or sticky feel. After cleansing, use Ultra-Lift Anti-Wrinkle Firming Moisturizer SPF 15. After, dab Ultra-Lift eye cream around the delicate eye area, morning and night. Rated 5 out of 5 by peaches310707 from Best Night Cream! I found this at my local CVS, it cost less than most others on the shelf. I've never used a wrinkle cream and was kind of skeptical, but decided to try it anyway. In about a week I noticed a HUGE difference in my skin. I had some fine smile lines and these are virtually gone. I love the feel of this on my skin and it has made an overall great difference in my skin. I was almost 100% wrinkle free. When I went back to purchase more, it was gone. I can't find it in any store in my area. I tried another leading brand that cost a little more and NO change noticed in 3 months. I'm throwing away what's left of this and I've ordered this product online. I will continue to order this for as long as this product is available! I LOVE it!!!! Thanks Garnier for a remarkable product! Rated 3 out of 5 by beauty experimenter from Good night Cream Overall a good night cream. This is my second purchase of this cream and I have found that when you get down to the last 15% to 20%, you get a split appearance and I have to mix it with my finger a little. Rated 5 out of 5 by Nolina34 from Best wrinkle cream I used this for years and it helped to prevent fine lines. It is fast absorbing and the best wrinkle cream I have tried. I used to be able to buy it from Target, Walmart, and Walgreens. None of those stores carry this anymore. I can't take this. I hope this is not being discontinued. Rated 4 out of 5 by Winonah from Surprising! I found this on clearance at Walmart and scooped it up. Very non greasy and soaks right in. I haven't noticed a change to my wrinkle situation... BUT it's cleared up several blemishes. Big, stubborn, under the skin ones. In one night they shrank by about half. Hopefully, being on clearance doesn't mean this is going away because it's now a staple for me. Rated 5 out of 5 by Janiephillips from Mother of 3 I was amazed about the packing and how anti wrinkle cream really works this product is just simply admazing.. Thank you very much for letting me try it . 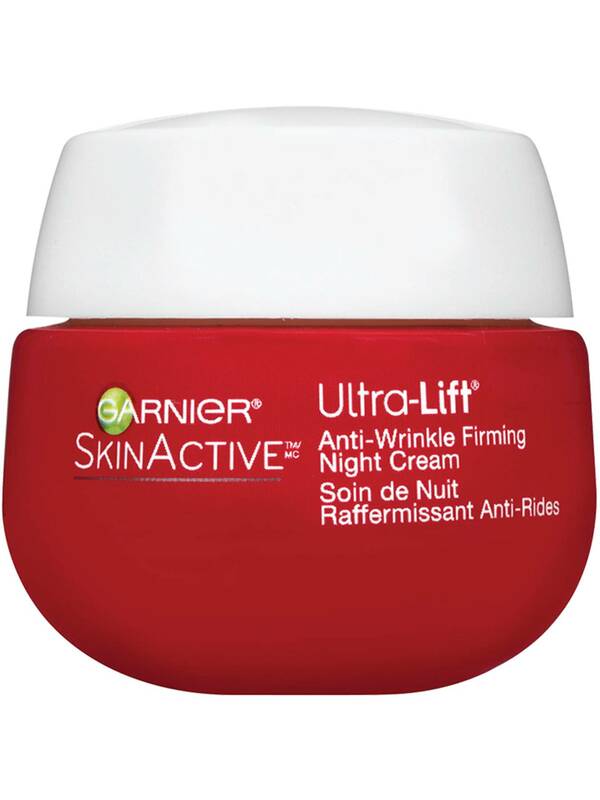 Rated 4 out of 5 by Juce621 from Garnier anti wrinkle night cream I used this cream for a little over 2 weeks. I have an oily T spot but the rest of my face is normal. First thing i noticed is that it has a pleasent smell and it was not overpowering. I followed the directions the first night but I think I applyed too much. My face was still a little greasy 6 hours later. So I learned a little goes a long way. I can say that from the fifth night of using this cream my face felt moisturized all day, even though I washed my face in the morning. My face also looked brighter and younger. This small change took place around day 10. I did experience a few small pimples on my cheek, which is not normal for me, but that could just be a coincidence. 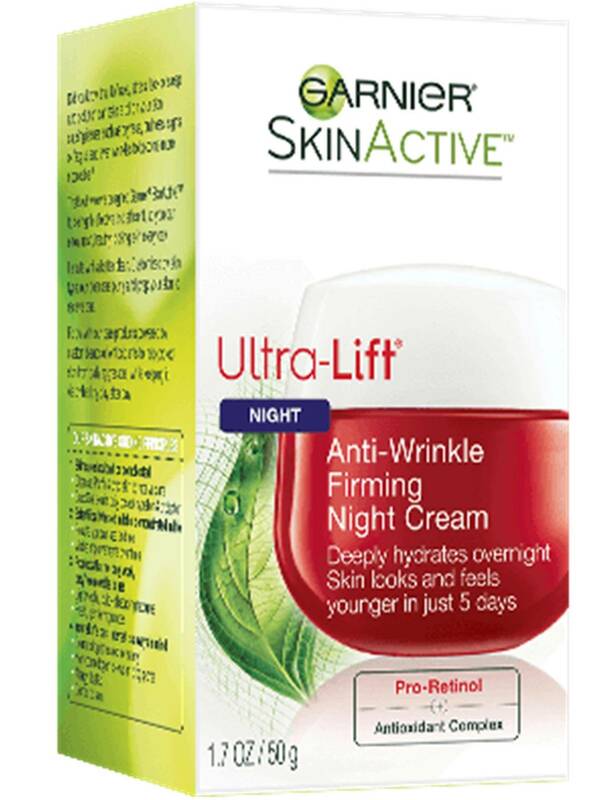 I would recommend this anti wrinkle night cream as it completed its task.